The next book in the Doley series is nearly complete! In this adventure, the Caravan of Colors comes to San Marcos and Doley is captivated! She explores the world around her through her sense of sight, in the second part in this bilingual series, based on the five senses. 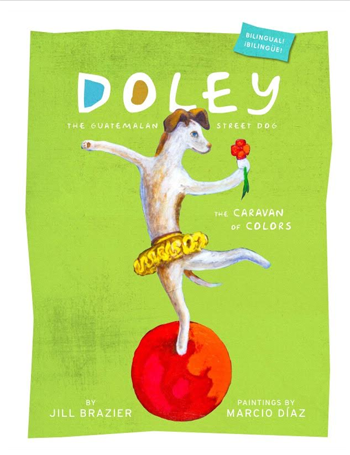 Join Doley as she learns to see the world a whole new way with El Maestro and the Caravan of Colors. Featuring rich, vivid artwork by Marcio Diaz.